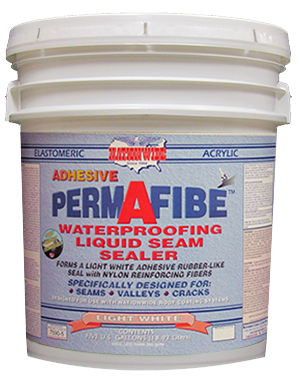 Superior quality white ELASTOMERIC acrylic adhesive nylon fibered waterproofing quick seam sealer and roof primer. 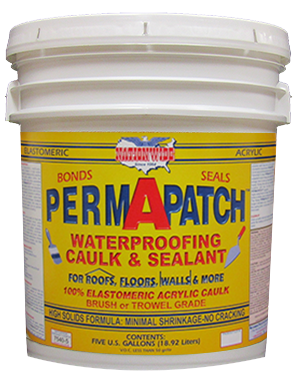 Excellent for strengthening, reinforcing and bridging seams on most type of roof surfaces. Brush or roller application. 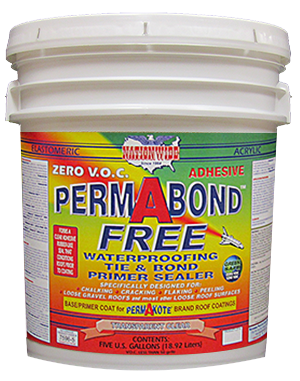 Excellent for use as a roof primer and can be substituted for PERMABOND™ as the primer coat for warranty conformance.